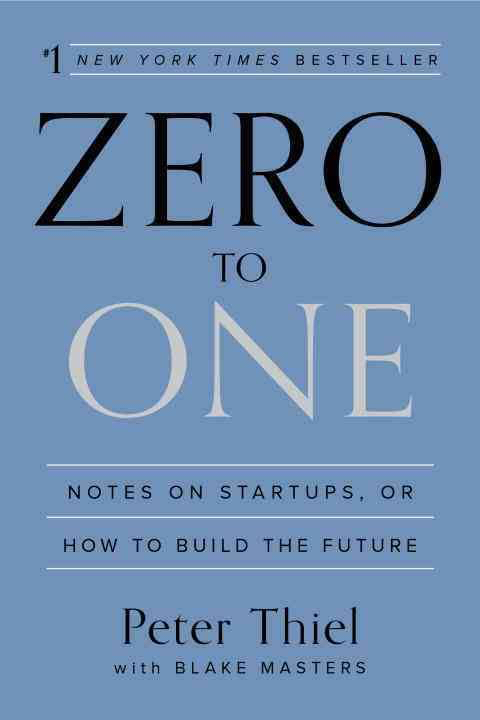 This book came out of a course about startups that Peter taught at Stanford in 2012. My overall experience of reading this book front to back once and selected passages twice has been a very unsettling one in a positive way. It would be an understatement to say it is thought-provoking. Many opinions shared in this book shake up the conventional beliefs, particularly the part dissecting how profoundly flawed our education system is. For example, educating people like a manufacturing pipeline, pushing people to think alike, being competitive for certain metrics, being “good” in many areas but “great” at none etc. Peter’s discussion on competition and monopoly challenges the conventional view that most of us are accustomed to: that competition is good and monopoly is bad. Partially to blame are the educational experiences we all had in competing against our peers to get ahead at school. Partially to blame is the distortion of our perceptions of the two as a result of legislation, morality or bending the facts to support our arguments. From an entrepreneur’s point of view this conventional view is not necessarily correct. This part of the book was one of the most stimulating debates for me. With the belief that I think for myself and do not agree blindly with others, I found myself taking the risk of being unoriginal and agreeing with his points on monopoly and competition. Last but definitely not least, compared with many other (non-fictional leadership/management/entrepreneurship) books I read recently, the writing demonstrates that the author has very high-powered and unyielding points of view charged with great logical reasoning. In my imaginative world, by reading this book I experienced what an ancient Roman citizen had while listening to the great orators debate in the Roman Forum (such as Cicero, about whom I wrote three blog entries earlier). A law school education certainly contributed to this. This supports one argument in my previous post on immersing in a new domain and broadening the frame of reference. To me, a human life is wasted, if you do not have, and are willing to defend, strong beliefs about what matter to you, under the condition that you stay open-minded and let your beliefs evolve as you gain more insights. The book started by asking a contrarian question: What important truth do very few people agree with you on? Most answers to the contrarian question are different ways of seeing the present; good answers are as close as we can come to looking into the future. Peter classifies the progress we could make towards a future into two forms: horizontal (or extensive) progress and vertical (intensive) progress. The former means copying what has worked before, going from 1 to n; the latter is about doing new things, going from 0 to 1. Globalisation is a typical approach of horizontal progress, while technology is the vertical one. Circling back to the contrarian question, Peter’s answer is that most people think the future of the world will be defined by globalization, but the truth is that technology matters more. The argument is supported with a few examples. The gist is that globalisation without new technology is unsustainable. Every monopoly is unique, but they usually share some combination of the following characteristics: proprietary technology, network effects, economies of scale, and branding. This book has broadened my view on what qualifies as proprietary technology. It is not limited to patents. Proprietary technology must be at least an order of magnitude better than its closest substitute to lead to a monopolistic advantage. Depending on how you view this, proprietary technology is rather more broadly defined than developing new patents or acquiring patent rights; or, viewed more restrictively, a new solution that is only mildly better than the existing widely adopted products might not be significant enough to attract the customer base. Below I share with you some selected passages from the book that have stirred up a lot of thinking on my part. Ask yourself: how much of what you know about business is shaped by mistaken reactions to past mistakes? The most contrarian thing of all is not to oppose the crowd but to think for yourself. There’s an enormous difference between perfect competition and monopoly, and most business are much closer to one extreme than we commonly realize. The confusion comes from a universal bias for describing market conditions in self-serving ways: both monopolists and competitors are incentivized to bend the truth…..Non-monopolists exaggerate their distinction by defining their market as the intersection of various smaller markets….Monopolists, by contrast, disguise their monopoly by framing their market as the union of several large markets. As you craft a plan to expand to adjacent markets, don’t disrupt: avoid competitions as much as possible. Iteration without a bold plan won’t take you from 0 to 1. We don’t live in a normal world; we live under a power law (distribution). The most valuable kind of company maintains an openness to invention that is most characteristic of beginnings. The most valuable business of coming decades will be built by entrepreneurs who seek to empower people rather than try to make them obsolete. Our task today is to find singular ways to create the new things that will make the future not just different, but better – to go from 0 to 1. The essential first step is to think for yourself. Only by seeing our world anew, as fresh and strange as it was to the ancients who saw it first, can we both re-create it and preserve it for the future.